In India, Australia and other Indo-Pacific countries, we have been regularly inundated with commentary about the ‘Quad’, the informal name for a grouping of countries comprising the United States, Japan, India and Australia. There are two popular refrains. One is alarmist: the Quad is a military alliance to contain China and its very idea is provocative, divisive and unnecessary. This is the view of not just some critics in the four countries, but also many in China and Southeast Asia. The second and more common reaction is scorn. For sceptics, the Quad has never amounted to much and is unlikely to, given various countries’ hesitations. The accusatory finger is usually pointed at India, sometimes at Australia, and occasionally at the United States after Donald Trump’s election as president. Both views fundamentally mischaracterise the Quad and its objectives. For now, it is merely a bureaucratic-level foreign-ministry-led dialogue that meets occasionally after a 10-year hiatus. 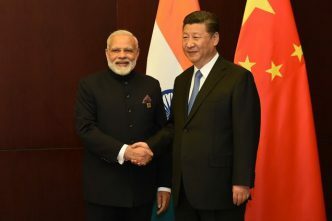 While the four countries have conducted some military activities together—humanitarian assistance and disaster relief following the 2004 Indian Ocean tsunami, naval exercises in 2007, and public appearances by senior military leaders—the Quad isn’t a defence dialogue, much less an alliance. It serves the limited purpose of political signalling and improves coordination among a set of like-minded and capable maritime powers in the Indo-Pacific. However, it’s not the Quad’s relatively modest activities to date that are the real story. Over the past two years, military engagements involving the US, Japan, India and Australia have broken new ground. Today, the four enjoy unprecedented levels of information and intelligence exchanges, personnel interactions, interoperable equipment and habits of cooperation. But by ignoring the rapidly growing military engagement among the four countries that comprise the Quad, many analysts are in danger of missing the forest for the trees. It’s helpful to examine the Quad less as a bloc of four countries and more as a matrix of trilateral and bilateral relationships. The four already enjoy three trilateral and six bilateral strategic dialogues, not counting a host of other military engagements and working groups. 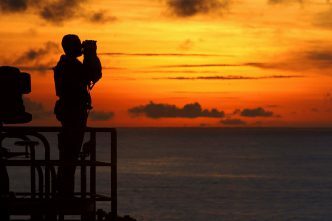 Trilaterally, US–Japan–Australia engagement is the most advanced, given the legacy of US alliances and the recently unveiled trilateral infrastructure agreement. Meanwhile, the US–India–Japan trilateral dialogue is now held at the ministerial level, Japan has been permanently included in India–US naval exercises, and a trilateral infrastructure working group has been established. A Japan–India–Australia trilateral dialogue was recently initiated. Other developments point to growing ‘minilateralism’. 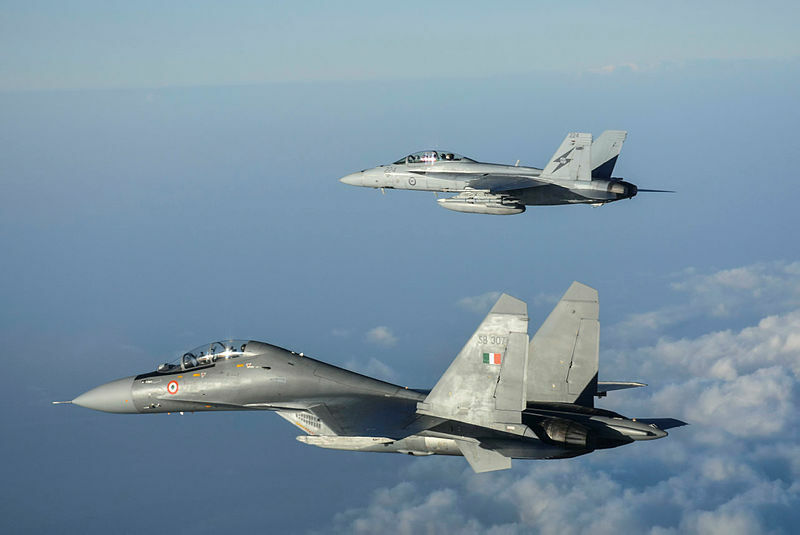 This year, India’s air force participated in Australia’s Pitch Black exercise, representing a growing degree of comfort with defence cooperation in a regional context. The commonality of equipment—notably maritime patrol aircraft—is significant for improving collective maritime domain awareness and anti-submarine contingencies, and adds another element of interoperability. 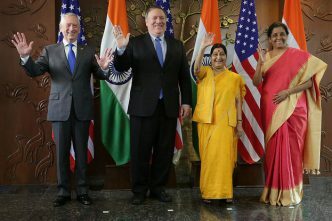 Nor are emerging regional trilateral relations exclusive: India and Australia have initiated a trilateral dialogue with Indonesia, the US and Japan meet regularly with South Korea, and all four countries have deepened their ties with France, which boasts a remarkable presence in the Indo-Pacific. In addition, every constituent bilateral relationship among the Quad countries has strengthened in recent years. All six bilaterals now feature 2+2 dialogues involving the foreign and defence ministries. America’s relations with Japan and Australia are naturally much more developed. Overcoming past squabbling over basing arrangements, the US and Japan have recommitted themselves to their alliance. The US–Australia relationship has also been reinforced with US Marines in Darwin and continued high-level political relations. Two other bilateral relationships have grown in importance. For India, the US now rivals Russia as its most significant defence partner. Beyond a host of diplomatic, defence, staff and technical dialogues—including the first 2+2 dialogue in September—India–US military exercises have become more regular, with army special forces and air exercises reinitiated after a hiatus. After more than a decade of negotiations, a logistics supply agreement and communications agreement have been signed. 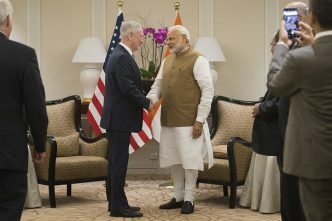 India has also acquired several major defence platforms from the US, and preliminary efforts at joint defence production and research and development are underway. Similarly, the Japan–Australia relationship has undergone some significant changes. In addition to their 2+2 dialogue and naval exercises, the two countries are planning their first bilateral air exercises and are negotiating a visiting forces agreement. 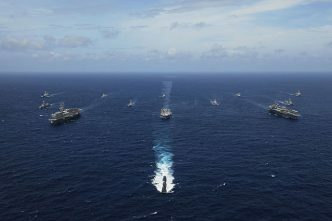 The weakest military links among the Quad countries were traditionally India’s relations with Japan and with Australia. In addition to the Malabar naval exercises, India and Japan may conduct their first air and ground force exercises over the next year. India–Japan staff talks have expanded to three services, and strategic dialogues have been elevated to the ministerial level. Japan has made offers to India about the sale and co-production of defence equipment, and agreements on defence technology and the security of classified communications have been concluded. Even India–Australia security ties have improved significantly over the past two years. The initiation of a 2+2 and new trilaterals have bolstered the strategic content of engagement. Military-to-military contact has also increased with the Ausindex naval and Australia Hind army exercises, Australian participation in India’s Milan exercise, regular port visits, and staff talks. Thinking of the Quad in narrow terms—cooperation solely and exclusively involving the US, Japan, India and Australia—misses a far more important trend in regional security dynamics. Strategic partnerships between all four countries are steadily deepening, and this process has only accelerated. The growing number of military exercises, strategic dialogues, technical agreements and coordinated activities are manifestations of increasingly shared strategic worldviews, greater comfort levels and growing habits of cooperation. These are the trends that will matter much more for the balance of power and the prospects of a free, open and inclusive Indo-Pacific than any amount of loaded commentary about the official quadrilateral dialogue. Dhruva Jaishankar is a fellow with Brookings India in New Delhi and a non-resident fellow with the Lowy Institute in Australia. Image courtesy of the Department of Defence.